× 4 = 32 Required Please enter the correct value. Activist investor Bill Ackman is having one heck of a year. After starting up Pershing Square Holdings Ltd. (AMS: PSH) with $54 million in 2004, the hedge fund manager now oversees a whopping $18 billion – and counting. Seven notable "Bill Ackman stocks" – companies in which he owns a large stake – have crushed the S&P 500 in 2014, despite the index's 43 record highs and nearly 11% gain. One of those seven, Allergan Inc. (NYSE: AGN) just made headlines Monday. The Botox maker accepted a $66 billion cash-and-stock offer to be bought by pharma firm Actavis Plc. (NYSE: ACT). Pershing Square is the largest shareholder in Allergan, with a 9.7% stake. When Allergan accepted Actavis' bid, Ackman's position profited $2.2 billion from the deal. The twist is that for the past seven months, Ackman worked with Valeant Pharmaceuticals Intl. 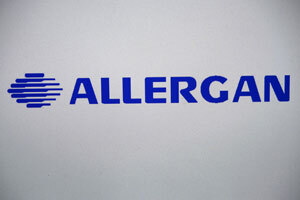 Inc. (NYSE: VRX) to force a hostile takeover of Allergan. Hostile takeover activity picked up in 2014. This year has seen the highest amount of deal making since 2007, with nearly $100 billion in hostile offers made by June. Here's how they work: A company's board of directors is beholden to shareholders when it approves or rejects bids – this is part of its fiduciary duty. If the bidder's offer is high enough, and the board still rejects it, shareholders can choose to vote in a new board that will accept the offer. That's one of two ways to complete a hostile takeover. The other is when the acquirer simply buys enough shares in a company to gain a controlling interest. At first glance, it may seem like Ackman lost when Allergan went with Activis and not Valeant, despite Pershing's efforts. But take a closer look and you'll see the genius of Bill Ackman at work. First, Ackman helped Valeant approach Allergan. Second, when Allergan resisted, he helped Valeant up its bid with his pool of cash. Once Allergan faced a higher bid, the board naturally felt pressure from shareholders. Allergan was forced to look at other offers. When an even higher one came in from Actavis, Allergan took it. Ackman created a situation that made his stake in Allergan worth more money. He got Allergan into takeover talks. He kicked off a bidding process. And in the end, he won. We found out last week that Zoetis Inc. (NYSE: ZTS) – another of Ackman's stocks that's outperformed the S&P 500 this year – may be the next acquisition target for the Pershing Square-Valeant Pharmaceuticals team.